In many dental and orthodontic practices marketing is often a hodgepodge of efforts or a function that’s overlooked or neglected due to busy schedules or lack of expertise. We help change that. 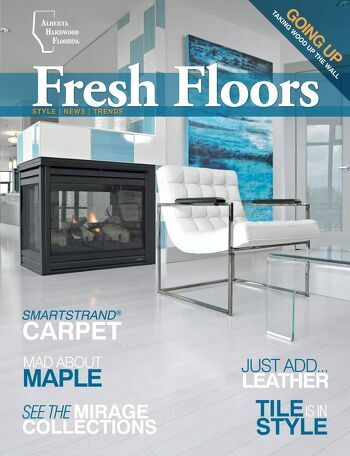 Our work on Alberta Hardwood's Fresh Floors Magazine was shortlisted for a 2014 SAM Award in Calgary. The magazine was recognized in the Direct Mail category. This is exciting and deserving for three reasons. The client is awesome and deserves an award. The idea was awesome and deserves an award. The production - design and printing - was awesome and deserves an award. The publication came about based on our belief that branded content in the form a magazine would really resonate with the client's target markets. The magazine format allows customers to dip into absorb information, and it really presents the client's products in a stunning way. The magazine was delivered via Canada Post to selected postal ranges in both Edmonton and Calgary, and was also presented on the client's website in a mobile/web format. Congratulations to Alberta Hardwood Flooring!